Not too long ago, there were train operations in Singapore, operated by the KTM and running from Tanjong Pagar Railway Station through Bukit Timah Railway Station before heading up towards Woodlands, across the Causeway and travel into Malaysia. 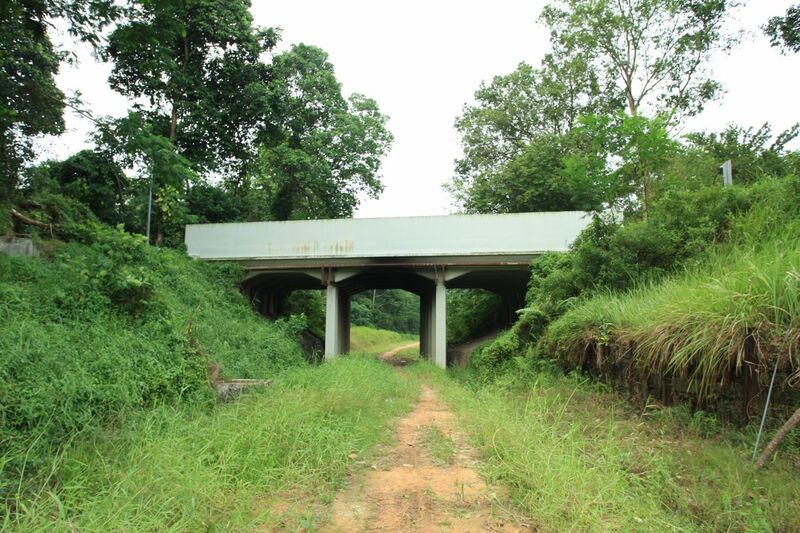 With the agreement between Singapore and Malaysia Governments, the KTM Railway Stations and land space were returned back to Singapore while the tracks were supposed to be removed and returned back to the Malaysia. During the period leading up to the return and last day of the KTM Railway operations in Singapore, it gained massive interest and following, from taking photographs, trekking along the railway tracks, reminisce of the olden days, public consultation on the future of the Green Corridor and outcry over the removal of the railway tracks. I would not go too much into the details of the happenings and timeline after the return of the KTM Railway, it can probably become a mini thesis of the happenings and follow-ups, public consultations, exhibitions, discussions between different bodies. I had been documenting, photographing and writing on the Green Corridor as much as I could, do check out my The Green Corridor Collection on Flickr! 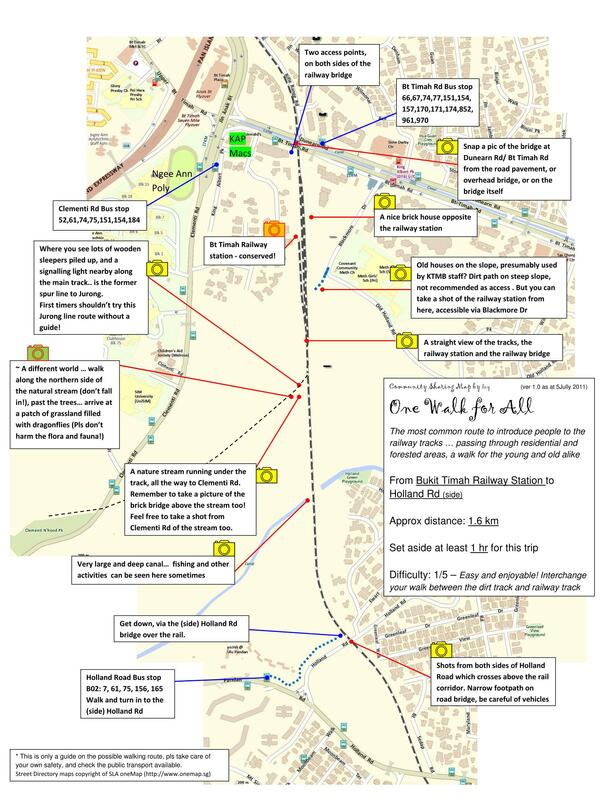 Map of the Green Corridor Stretch (Bukit Timah Railway Station to Holland Road) – Maps attributed to OneMap by SLA, http://www.onemap.sg/index.html and CY Leong. This Green Corridor is now officially known as the Rail Corridor, while the plans and ideas are currently still in discussion, planning and consultation between different bodies, the public and the government, the final plans for the Rail Corridor is still unknown. Most of the Rail Corridor is currently not yet open to the public again, however, there is a 1.4km stretch of station and railway land open to the public from September 16, southwards from the steel bridge along Bukit Timah Road towards Holland Road, that was announced via Channel News Asia. I had been wanting to walk this stretch and see for myself first hand how the changes were really like after the removal of the tracks, the surroundings. My business, time and other personal commitments stalled my plans, finally, I was able to set aside a bit of my time on Boxing Day, to explore this 1.4km stretch. First and Foremost, with the removal of the railway tracks, some things once removed it will never be the same again. The railway tracks were covered up with soil/earth, grass is growing nicely on top of it, although not as natural as the surrounding flora and fauna, it somehow tries to fit into the greenery and surroundings, considering the factors, it’s quite good actually. 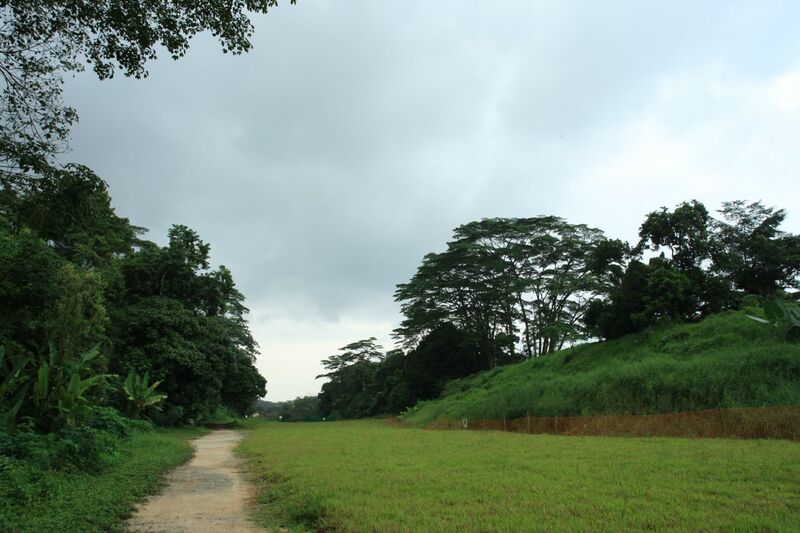 There was a concern on the greenery, the wildlife and reserve, known as the Clementi Woodlands, being affected by the removal works. From my trek up and down this 1.4km railway land stretch, the damage (if any) looks minimal, the wildlife can be seen and heard, from the birds chirping away, to the dragonflies and fishes inside the small clear flowing stream and pond. It’s definitely comforting that this stretch of the Rail Corridor still retains the aura, greenery, tranquil and natural beauty, while it’s a real pity that the railway tracks cannot be retained, I sincerely hope that this Rail Corridor or Green Corridor, will stay as a green belt, a green spine that gives Singapore a outdoor recreational and leisure area, for Singaporeans to remember her railway history, heritage and culture, along with space for trekking, running, walking, nature and wildlife studies, cycling. What exact plans/developments will the Rail Corridor be in the future ? We will know it soon in the next few years to come. 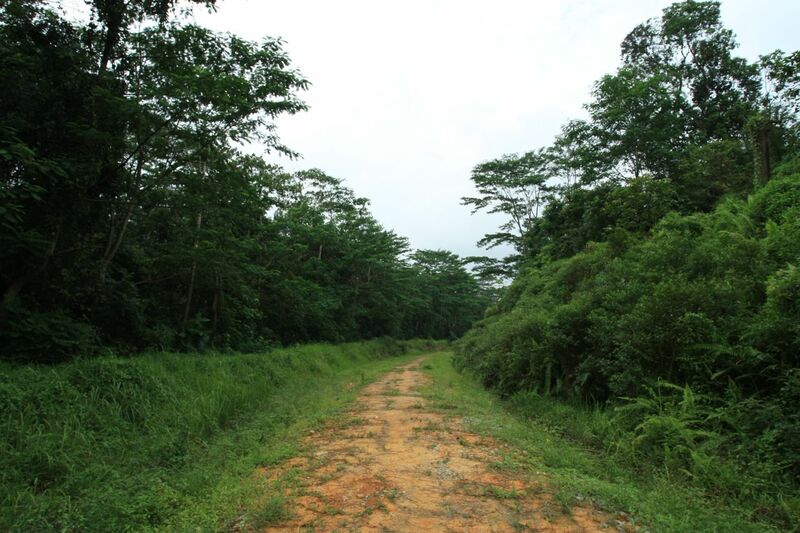 Do follow We Support The Green Corridor or the Rail Corridor and look out for the updates! The remaining green area would be a great mountain biking track! Or they could turn it into a long thin park! Still, I am sorry I missed traveling by train between Malaysia and Singapore!